If you're looking for gifts for him for the next special occasion, shop our engravable cufflinks for a unique gift with a personal touch. 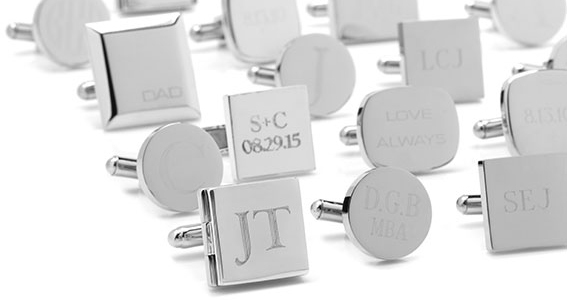 Personalized cufflinks offer a custom-tailored approach to fashion and gift-giving. With our precise, diamond-cutting technology, engrave his initials, the date of a special occasion, a phrase or logo on your choice of our engraved cufflinks collection for an elegant gift. Browse our entire selection of engravable gifts or letter and initial cufflinks for additional personalized options.